Leading Retailer of Exercise Book, Educational Books, School Notebook, Diary, Ledger Book and Long Exercise Book from Kolkata. Stitched and backpressed, these exercise books can be manufactured in all size variations, sheet counts, with ruling, stitching and covers. We are engaged in offering educational books for students of management, computer science, law, medical sciences and many more. 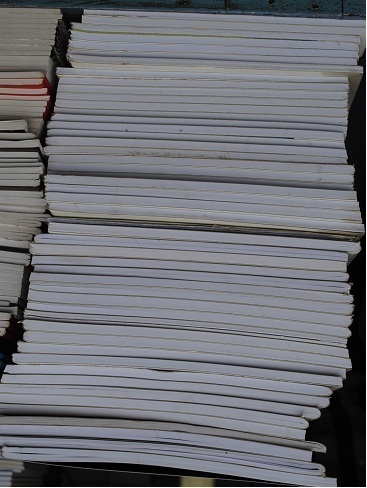 We are engaged in dealing high quality of School Notebook. We are engaged in dealing high quality of Ledger Book. By: Orion Book Binders Pvt Ltd.